Ixtapa is best known for its excellent white sand beaches, and offers nice opportunities for relaxing beach vacations. The center of the Ixtapa resort town is the lovely Playa del Palmar beach, where most of the large hotels in the area are located. Water sports such as sailing, parasailing and water skiing are available in Ixtapa. However, as in many of the beaches in the area, the waves are a bit rough for swimming. However, the high waves make surfing in Ixtapa quite popular. Playa Las Gatas is nice for swimming, and snorkeling can also be practiced there. Offshore from Ixtapa, Isla Ixtapa is home to four more beaches that offer nice snorkeling as well as seafood restaurants. Besides beaches and surfing, diving in Ixtapa is also great with good visibility, rich marine life and a variety of impressive dive sites. Sport fishing and kayaking are also available. 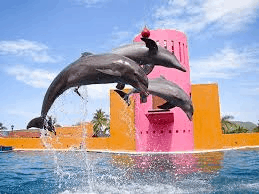 There is a dolphinarium in Ixtapa where you can swim with bottlenose dolphins, and a water park called the Magic World that is great fun for kids. Nightlife in Ixtapa is not as impressive as in bigger resort cities such as Acapulco or Cancún. Ixtapa has more options for night-time entertainment, then its twin city Zihuatanejo. Typical Mexican festivals are also celebrated. Ixtapa is safe with little crime around. However, pick-pocketing and theft does occur, so take good care of your belongings. To learn more about all the beautiful beaches of the Mexican Riviera, visit here. Now view our Ixtapa Vacations Travel Guide to help plan your next Mexican Riviera vacation! Ixtapa has a tropical savannah climate, with dry summers and winters. The temperature over the course of the year varies from 67°F to 90°F. Rarely, the temperature goes below 62°F or over 92°F. The warm season of Ixtapa is between June 30 and September 2, when the average daily high temperature is above 89°F. The hottest day over the year is July 28, when the average high temperature is 90°F and the average minimum temperature is 76°F. The cold season of Ixtapa is between January 12 and May 1, when the average daily temperature is below 86°F. The coldest day of the year in Ixtapa is March 14, when the average low temperature is 67°F and the average high temperature is 85°F. Plan on traveling in the winter months when the temperatures range between 70 degrees and 80 degrees F. It is during these times that you will avoid the crowds at the beach as well as on the streets, making your shopping experiences easier and more enjoyable. The winter also brings warmer waters to the beaches for you to enjoy without the hassle of large crowds. You can also view the beautiful sunsets of westerly located Ixtapa during these months, viewing the pinks, oranges and golds that fill the evening sky. June may be the hottest month in Ixtapa and often marks the beginning of the rainy season, which runs through October. The waters tend to be turbulent in the summer months and into early fall, offering great waves for surfers to enjoy. Hurricane season runs from late September to early November. Use caution when planning a trip here during that time, including making preparations for immediately departure if danger should arise. Beginning in November and into late spring, the fishermen thrive, catching sailfish, yellowtail tuna and mahi-mahi in large quantities. U.S. and Canadian citizens must have a valid passport. U.S. and Canadian passports in good condition must be valid for the duration of the passenger’s stay in Mexico. The U.S. Department of State recommends that passports be valid for at least six months after the expected return date. Traveling to Ixtapa is done by air or by road. Ixtapa and Zihuatanejo have a common international airport, receiving flights to the Ixtapa area from Mexico City, as well as from several Mexican, US and Canadian cities. Comfortable long-distance buses to Ixtapa can be found from many Mexican cities. Moving around in Ixtapa is really simple due to its size. The most convenient option is the taxi , which you can find everywhere; their fairs are fixed and you can check them inside the cabs, however, it is a good suggestion to confirm the prices with the driver before taking the ride. Alternatively, there are a great number of local buses, which is the cheapest way to get a lift, they offer rides between Ixtapa and Zihuatanejo as well as several beaches. The service is available from 6 am to 11 pm, and the price goes from 4.50 to 7 pesos depending on the origin and destination. If you’ve always wanted to ride on a dolphin’s belly, you can do it in Ixtapa. Delfiniti is a well-established company that offers hour-long dolphin swims that include belly rides, a foot push, and of course a few dolphin hugs and kisses. Any hotel or tourist agency in town can arrange the excursion, which is offered at Definiti Ixtapa. Kids must be at least 8 to swim with the dolphins. Visit Delfiniti Ixtapa for more information. Ixtapa’s finest attraction is a beautiful oasis. The turquoise waters are crystal-clear, calm and great for snorkeling. Playa Corales on the back side of the island is the nicest and quietest beach, with soft white sand, and an offshore coral reef. Enramada seafood restaurants and massage providers dot the island. Frequent boats depart from the pier at Playa Linda. The island gets mobbed by tourists in high season. 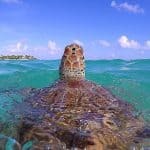 The area’s most magnificent beach is a 20-minute walk from Playa La Madera and a five-minute taxi ride from town. Parasailers drift above the 1/2 mile stretch of soft light sand; below, concessionaires rent Jet Skis and Hobie Cats. Up and down the beach are open-air restaurants—some with hammocks for post-meal siestas—and a handful of hotels. Kids can splash in the calm, aquamarine water or toss a ball or Frisbee on the shore. 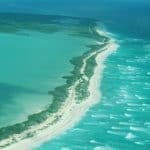 Playa Linda has a small cocodrilario (crocodile reserve) that is also home to fat iguanas and several bird species. 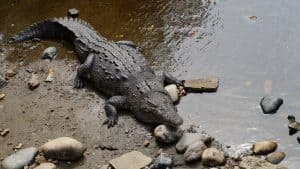 You can watch the hulking crocs from the safety of the well-fenced, wooden viewing platform located near the bus stop and extending toward the harbor. This is a wonderful bike trail that goes thru Ixtapa. 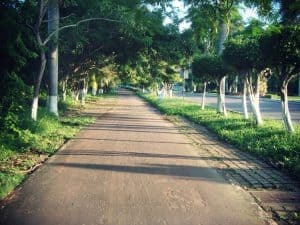 The beautiful, perfectly maintained bike track is practical to run or bike to / from some of the hotels to the nature reserve just in front of Playa Linda. It makes a full circuit to the marina in Ixtapa and passes in front of most hotels. You’ll ride through butterflies and under lush green forest trees.. You’ll see all sorts of wildlife on both sides of the trail. This romantic cruise aboard the Picante catamaran takes you for a sail around the bay of Zihuatanejo, past the caves of Majahua and then along hotel zone of Ixtapa. View the blowhole in the twin island volcanic outcroppings canopied with soaring frigate & booby birds. Keep your eyes open for the green flash! Includes open bar, appetizers, and transportation to and from your hotel in Ixtapa. 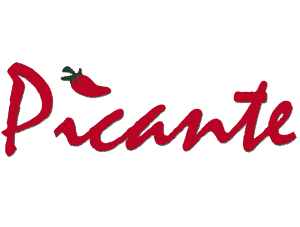 For more information call 755-554-2694, or visit them on the web at Picante. Carlo Scuba is a 3 generation PADI dive center located on Playa las Gatas since 1962.PADI instruction is offered from beginners to instructor courses, as well as many specialties like photography, deep diver, underwater navigator, night diver,nitrox diver, multi-level diver and more. For more information call 755-554-6003, or visit them on the web at Carlo Scuba. Proving surf trips to Playa Linda, Saladita, El Rancho, Rio Nexpa, Loma Bonita and more. SUP trips to Isla Ixtapa, Barra de Potosi, El Rancho and Saladita. For more information call 755-553-1384, or visit them on the web at Catcha L’Ola. They offer scuba diving trips in the Ixtapa Zihuatanejo area, PADI scuba diving certification courses (Scuba Diver, Open Water Diver etc.) and scuba diving programs for beginners: Discover Scuba Diving and Bubble Maker. They are PADI 5star. 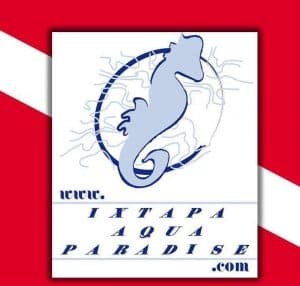 For more information call 755-113-4860, or visit them on the web at Ixtapa Aqua Paradise. Fishing Charters in Ixtapa Zihuatanejo Guerrero Mexico, sail fishing marlin fishing , offshore and inshore fishing, Catch and release, all boats have fishing gear, bait, licenses and can give you up to 7 hours fishing. For more information call 755-102-8664, or visit them on the web at Fishing Fleets. This small, marina-side dining room and cozy bar has been a popular high-season hangout since 1992. Among the best dishes on the northern Italian menu are minestrone soup, caprese salad (with tomatoes, basil, and mozzarella), fish fillet (usually red snapper or mahi mahi) with a champagne sauce, and chicken cacciatore. Many of the pastas are made in-house. Enjoy the personalized attention of the owner and all-around excellent service. For more information call 755-553-1770, or visit them on the web at Beccofino. The delicious scent of grilling meats will entrance you from blocks away. Latin music blares from the jukebox inside, so after sundown most clients dine at the white plastic tables on the grassy front yard. The charcoal-grilled burgers, which are made of top sirloin, the french fries, deep-fried zucchini, and baked potatoes are true-to-the-source America n treats, but with a twist. The burgers are topped with cabbage, and delicious with the Benton’s chipotle sauce that you’ll find next to the mustard and ketchup. Try the corn soup served with a generous dollop of sour cream. For dessert there are grilled bananas glazed with cinnamon and sugar and served with fresh cream. For more information call 755-553-0055, or visit them on the web at Ruben’s. Although it’s open all day, this sparkling little coffee shop is best known for its breakfasts. This branch opened after the success of the original eatery in downtown Zihuatanejo. It’s both more polished and more endearing, yet serves the same deli-style fresh Mexican food that’s been served for 30 years at the original restaurant. Sit at the counter, at the varnished wood tables with six swivel chairs, or in the tiny booths. Options include fresh fruit juices, coconut milk shakes, banana splits, omelets, enchiladas, salads, soup, and tortas. For more information call 755-553-0838, or visit them on the web at Nueva Zelanda. The wooden bar, ocher walls, and handcrafted furnishings make this tiny restaurant seem like a true cantina, although it’s in the middle of a shopping center. Patio tables are more elegant at night than during the day, with potted trees dressed in little white lights and lively tropical music at a level that doesn’t drown out conversation. The chiles rellenos de camarón, fajitas, and tuna steak topped with three kinds of chilies are all filling and delicious. You can also come for a generous breakfast. For more information call 755-553-0578, or visit them on TripAdvisor at Casa Morelos. It’s lights! camera! disco! at this cavernous dance club, a veteran on the Ixtapa scene. Known for its light-and-sound system, the club is open until 4 am. 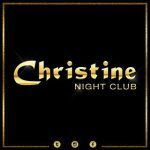 For more information call 755-555-0510, or visit them on the web at Christine Night Club. Find hot live bands and cold beers under this Ixtapa palapa that opens at 6 pm every night. 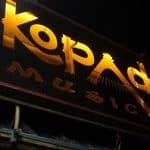 For more information call 755-553-2000, or visit them on the web at Kopados Music Bar. 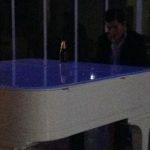 Piano Bar Galería, in the Hotel Sunscape Dorado Pacífico, has a wonderful happy-hour pianist playing romantic songs nightly from December to April and July and August. For more information call 755-553-2025, or visit them on the web at Piano Bar Baleria. A fog machine, banks of computerized lights, pop, rock, house, salsa and merengue, plus an open bar: what more do you want? 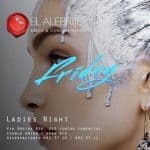 For more information call 755-553-2710, or visit them on the web at El Alebrije. Featuring a terrace, Pacifica Resort Ixtapa is located in Ixtapa. Zihuatanejo is 2.9 miles away. Free private parking is available on site. The accommodation is fitted with a TV. Some units feature a terrace and/or balcony. There is also a kitchenette, equipped with a microwave, refrigerator and Mini-bar. Bed linen are featured. Guests can enjoy a meal at the on-site restaurant, followed by a drink at the bar. For more information, pricing, or to reserve your room, visit Pacifica Resort. This property is 3 minutes walk from the beach. Located in Ixtapa, 3.1 miles from Zihuatanejo, Barcelo Ixtapa – All Inclusive features a year-round outdoor pool and fitness center. Guests can enjoy the on-site restaurant. Free private parking is available on site. Extras include bathrobes and a hairdryer. There is a 24-hour front desk, hairdresser’s, and gift shop at the property. You can play tennis, ping-pong and pool at this resort, and car rental is available. For more information, pricing, or to reserve your room, visit Barceló Ixtapa. Featuring a furnished terrace with a swimming pool, a massage service, a hot tub, 4 restaurants and 3 bars, this complex is in front of Zihuatanejo Beach and 9 miles from the center of Zihuatanejo. The luxury suites feature modern, colorful decorations, air conditioning, safes, minibars, flat-screen cable TVs with DVD players, and CD players. The bathrooms are private and come with showers and spa tubs. The restaurants offer Mexican specialties, Asian cuisine, Italian cuisine and an international buffet. There are also 3 pool bars, one of which has a waterfall. The lobby bar and the snack bar are also available for guests to enjoy. Guests can relax at the sauna, in the hot tub, or with a massage. The gym is another option. This eco-resort can arrange activities like kayaking, biking and windsurfing. Wi-Fi is available for an extra cost. For more information, pricing, or to reserve your room, visit Azul Ixtapa All Inclusive Suites – Spa & Convention Center. Located in Ixtapa in the region of Guerrero, 2.7 miles from Zihuatanejo, Las Brisas Ixtapa features a terrace and views of the sea. Guests can enjoy the on-site bar. Free WiFi is provided and free private parking is available on site. Certain rooms have a private bathroom with a hot tub, and others have bathrobes and free toiletries. Some rooms include a sitting area for your convenience. A terrace or balcony are featured in certain rooms. A flat-screen TV is available. For more information, pricing, or to reserve your room, visit Las Brisas Ixtapa. Count me in on this Ixtapa location! Traveling to such an wonderful destination sounds amazing to me. I have been searching for my next beach vacation, and I think I just found it. I just need to not look anymore on your site, LOL. Do you also work as a travel agent? Can you get me the best deals on a hotel/air package? Thanks! I am glad you are ready to head to Ixtapa Jeremy! You will have a wonderful time. Yes, I can help you with a package deal. I will shoot you an email with a few questions, and then I can get right on it and give you a couple different options. Thanks so much for visiting BeachTravelDestinations.com. Wow, great review of Ixtapa. So comprehensive! I never heard of this place before. But I love visiting these type of places. Some of the bigger places like Cancun can get very crowded and commercialized. It’s great sometimes to visit the smaller lesser known locations. It can be much quieter yet you can still do most everything. 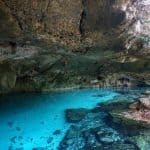 Especially for things like snorkeling and scuba diving, these places can be much better locations to visit. I agree Steve and thank you for visiting Ixtapa Vacations! I hope you found everything you need to plan your next vacation here! Great review of Ixtapa; you definitely got everything covered and you have given me all the reasons I need to want to visit this place. I love beaches and it’s one of my dreams to visit more places and more beaches to expand my horizon and experience. I’ve seen quite a lot in Asia and it would be nice to go somewhere I’ve never been before like Mexico. What I am most excited about is riding a dolphin and taking an adventure walk in the wilds. I always enjoyed watching a dolphin show but haven’t experienced actually riding on their belly, that must be fun. 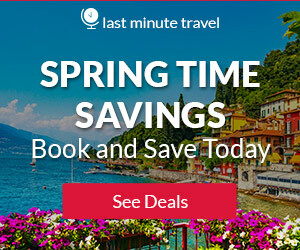 By the way, do you know if there are travel agencies that are offering package tours or special discounts and what season of the year do they usually offer them? I like the thought of going there and being able to snorkel and swim and learn to surf and enjoy all the activities. This is kind of what I am looking for! Yes, you have so many wonderful places that you have reviews for. I am going to look around some more and decide on my next vacation. Thank you! Beautiful place and wow the night life sounds fun. I totally agree winter is the best time to travel as the weather is pleasant. I think I need to explore Ixtapa as well. 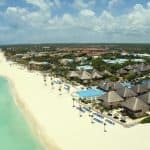 I went to Cancun and it was so much fun, I wanted to go again this year in June, but I cancelled it as I heard June it gets pretty humid due to rain. Looks like Ixtapa is the place I will go to instead 🙂 Thank you for sharing. If you like night life, then you will like Ixtapa. Since you have been to Cancun, I would definitely plan a vacation to Ixtapa. Thanks you so much for visiting and reading about Ixtapa vacations! This is one detail post, which cant be overlooked for people like me who just loves beaches. Thanks for covering all the aspects which are generally missed. Seems like I can plan all with this one post for my next vacation. I love the Mexican Riviera, and am looking forward to vacationing in Ixtapa. I have everything I need now! Thank you. We are hoping to go sometime this winter when it is very cold here and wonderful in Ixtapa, will there plenty of sailing around there? I have always wanted to try sailing but never took time out to do it. Is there places that would take an old man out and show him how to sail? When do most people travel to this place? Thanks for showing us some very beautiful places in the world. Hi Bob, you are going to be able to sail anytime while you are there. 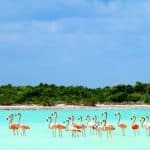 I have a company listed on the article for Picante, a sailing company, and they can take you out and also teach you how. November thru may is the high season for Ixtapa, when most people vacation in Ixtapa. It is still not overly crowded like some other beach destinations. The weather is not extremely hot, it is nice and dry and sunny, and you will have a fantastic time! 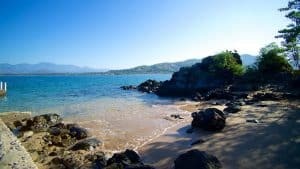 Wow, great information on Ixtapa! I have been wanting to go to the Mexican Riviera and have been looking over the various destinations in this area. I think that Ixtapa sounds like the place for us to vacation to. We both are surfers, so this will be ideal with the water being a little rougher made for surfing 🙂 I also like that the weather really doesn’t go over 90 degrees. I am quite interested in going to Isla Ixtapa while we are there. Do you know how much is cost for a boat ride over to the island? Thank you! Hi there and what a wonderful post on Ixtapa! Me and my boyfriend are planning to spend our honeymoon somewhere for a dreamy beach vacation. I have been looking on the Internet trying to find the perfect spot for us, and this looks to be it! You certainly have covered everything from A to Z, which will make it easier for us to plan. Thank you so much for all the wonderful information. The Casa Del Mar Resort & Spa looks like the perfect place for us to stay! Do you know how long of a flight it might be from Los Angeles and would we be able to fly non-stop? Thank you for taking the time to comment on Ixtapa Vacations Theresa! This would make a great honeymoon destination, and you will have a great time. The Casa Del Mar Resort and Spa is a very romantic hotel, and for a honeymoon, it will be perfect! A non-stop flight is going to take about 3 hrs. and 40 minutes from Los Angeles. Not a very long flight at all. Please let me know if I can help in any way to plan your trip. I know that I could get you some great deals! This is a very good post. You have every inch of information here. From travelling notes to visit spots and nightlife and food. Amazing. Makes me wanna pack my bags and head off there now. Looks like a beautiful place on our earth too. Added to my bucketlist. HI Charlotte and thank you for visiting Ixtapa Vacations. I am glad you enjoyed reading and learning about Ixtapa. The Mexican Riviera is a wonderful place for a vacation. Yes, I have been there and it is awesome! Thanks for taking the time to leave me some comments! Very comprehensive review Leahrae. I am in Australia, so planning a trip to mexico seems daunting. But, they are two very different cultures, food, etc., so I am kind of excited. Had Cabo in my mind, but after visiting this Ixtapa page, I have decided this might be a better choice for us. We are spoiled here in Australia with our beautiful beaches here on the gold coast. But…..There is something about the Mexican music and Mexican lifestyle I don’t think we could ever replicate here in Australia. So it will be a lot of fun to plan my trip to Ixtapa and check out the Mexican culture and food. Thank you so much for all this wonderful information! Thank you so much Remy! Yes, Australia is a wonderful place for sure, and then so is Mexico. You are right that they are two very unique destinations, and totally different with culture, food, music, etc. You will enjoy Mexico. I love Mexico, and I have been too many times to count actually. 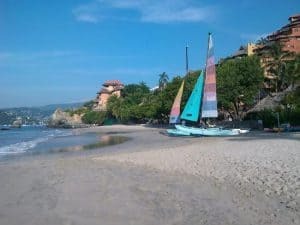 Thank you so much for visiting BeachTravelDestinations.com and reading about Ixtapa Vacations! Ixtapa sounds amazing Leahrae! I love to sail so sound like I’ll get along there just fine. When you say the winter months do you mean northern hemisphere winter? So December to February? I’m from Australia so just to clarify however I think I’ll avoid during hurricane season, just to be on the safe side! Am adding to the bucket list! Hi Fleur, Thank you so much for visiting BeachTravelDestinations.com and reading about Ixtapa Vacations. Yes, I do mean winter months as in December thru February 🙂 I think that the winter months are the best time to go really. I live in the hurricane belt, so yes I am not going anywhere else during that time that is also in the hurricane belt. I think this year though, has been exceptionally bad. Thank you for taking the time to comment. How! Wonderful does that look? I would love to visit there for about 9 months out of the year. Are these places that are kid friendly? Lots of things for a family to do. When we go on vacation, my wife and I always take along all the kids. Do children travel cheaper than adults? This may be a place we go when the kids are gone. That would be cheaper. Who would be the person to contact in order to plan a trip? Thanks for the very beautiful site. Hi Bob, yes Acapulco is kid friendly and I do believe one of my hotel recommendations is very family friendly. There are more that are as well. Between the beaches, the sea life, the wild life, and the dolphins, kids have a ball here! The only extra expense with your kids is going to be for the food and airline tickets mostly. I have always taken my kids with me, and it has created for them, a love to travel and to go to the beach…just like their mom 🙂 So don’t wait till they are gone. Enjoy life with them. I find that this time, for me, is great quality time that we spend together. Wow, I wish I could head there right now! Very complete presentation–if I were able to go now, I would have a great idea of where to go and what to see. I especially wish I could do the bike train–that’s kind of my thing. I don’t surf, but snorkeling would sure be fun. I hear you Keith, I’d certainly like to go right now too! Yes, the bike trail is pretty awesome 🙂 I am glad you enjoyed reading the Ixtapa Vacations Guide. Thank you for visiting!